One of the world’s great thinkers on the links between science and other aspects of life, Fritjof Capra, emphasised systems thinking in his influential book The Web of Life (1996). Capra pointed out that this ‘new’ way of seeing our place in the world is not really new at all; rather it underlies the spiritual traditions of native American, African, Australian, Asian and many other indigenous cultures. He stressed that as individuals and societies we are dependent upon the cycles of nature and the interactive and interdependent nature of the life-world, clearly articulating that the survival of humanity will depend on our 'ecological literacy' — 'our ability to understand the basic principles of ecology — cause and effect — and to live and act accordingly’ (Peacock, 2004, p. 8). Networks — all living systems are interconnected in complex ways and interact and affect each other on multiple levels. There are living networks of plants and animals — ecosystem food webs; social networks of people; organisational networks to facilitate trade; communications networks etc. A change at one point in the network can have effects at many other points in the network — what we do has implications for unseen others. Cycles (e.g. water, carbon, nitrogen) — are closed networks where change goes round and feeds back. Within a healthy living ecosystem there is no waste — one creature’s waste is another’s food. Balance — networks and cycles imply balance. Life has been sustained on the Earth for millions of years through networks balancing things out. The common adage ‘there is still plenty of fish in the sea’ implies an infinite resource, but if we go too far down the line of factory fishing, we might reach a point where the balance is disturbed enough that some species will sooner or later be wiped out beyond recovery, affecting everything else in the system. However, we should be mindful that in another part of the network fisherman depend on catching fish in for their livelyhoods. Biodiversity maintains the balance of networks. To destroy or introduce species that play a key part in the ecological network can have unpredictable and possibly disastrous consequences. Renewable energy takes many forms — sun, wind, water, biomass. Wind energy is a good example of impact through networks — some people don't like them, because they are noisy, unsightly, kill birds, or may interfere with the radar of military planes. Whilst they solve some problems, they crate others. These impacts in other parts of the networks should not be ignored. Wave and water energy as well as biomass, which involves growing plants to make fuel, are also sources of renewable energy. Capturing the sun’s energy via solar panels has become quite common in recent years, these generate electricity by converting photons into an electric current. Ethics and Eco-design: being eco-literate is nothing unless we use it and apply it to good effect conscientiously and with love and care. Eco-design applies to re-designing our homes, planning what we eat, how we dress, the machines we use, and other social practices like how often we use our cars and how much goods and how often we consume. What is systems thinking? What did John and Sunday do that exemplifies systems thinking? What are some of the connections that make up the human networks and influence how people behave? 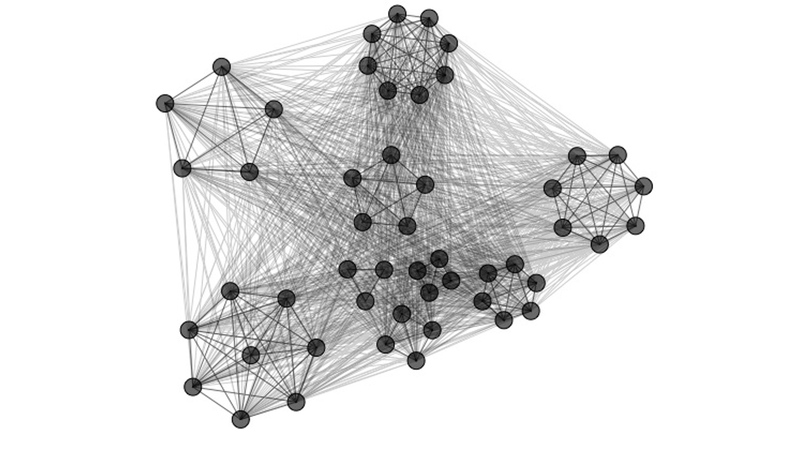 Can you think of some examples of networks at Heide? How does Heide utilise cycles in nature? Why is balance important to the health of ecosystems? How does Heide exemplify the concept of balance? What did John and Sunday do to maintain a balance of ecosystems around Heide? Think about your community ecosystem — what are some aspects that show balance, and which aspects could be improved? Why should we be worried about loosing a few species here and there? What changes would you make in your home to make it more sustainable? Capra, F. (1996). The web of life: A new scientific understanding of living systems. New York: Doubleday-Anchor Books. Miller, G. T., & Spoolman, S. (2012). Living in the environment: Principles, connections, and solutions. Belmont, CA: Brooks/Cole, Cengage Learning. Peacock, A. (2004). Eco-literacy for primary schools. Oakhill, England: Trentham Books.